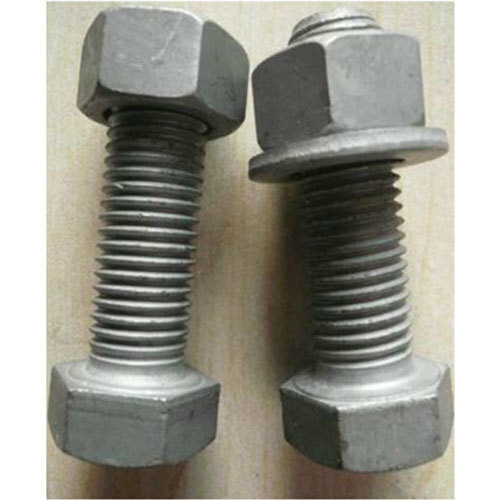 We are the leading organization in the market to offer the best quality range of Hot Dip Nut And Bolt. Established in the year 1966 at Ground Floor, Mumbai, Maharashtra, we “Shah Brothers" are a Partnership based firm, engaged as the foremost Manufacturer and Trader of ASTM Fastener, Stainless Steel Fastener, Brass Fastener, Anchor Fastener, Galvanized Fasteners and much more. Our products are high in demand due to their premium quality, seamless finish, different patterns and affordable prices. Furthermore, we ensure to timely deliver these products to our clients, through this we have gained a huge clients base in the market.